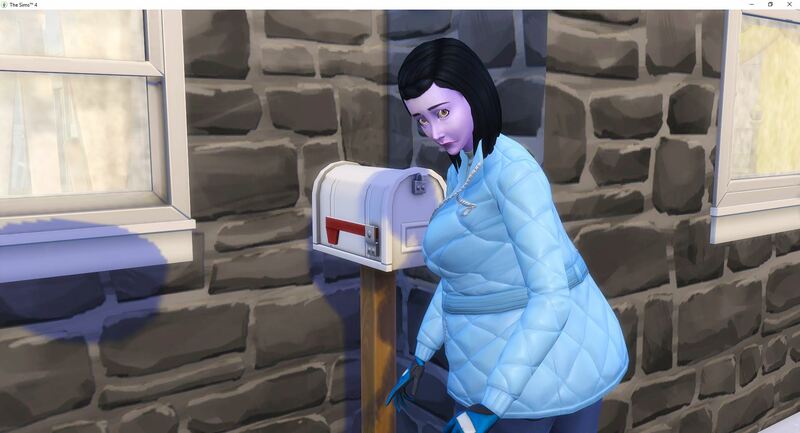 Penny grabs some leftovers, but she is not happy with them. 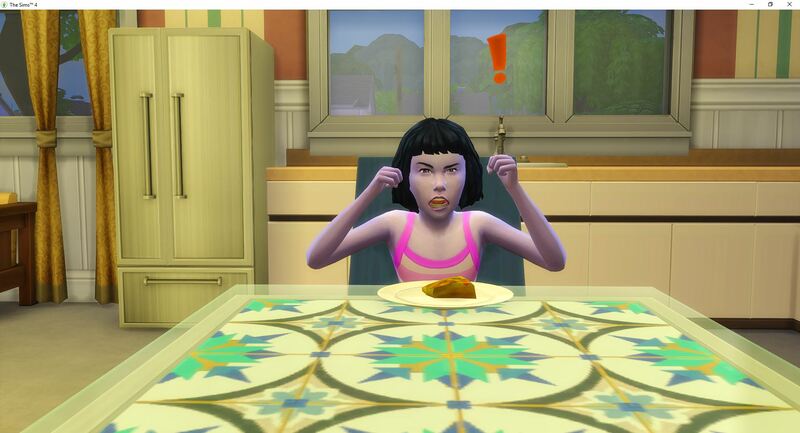 She complains about every bite. 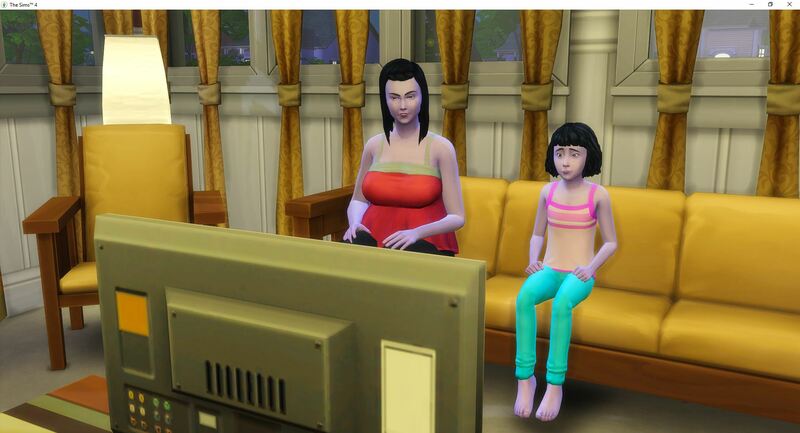 After dinner, and before homework, Tara and Penny relax for a few minutes. Influence works for a change. Tara is working on identifying the unidentified. 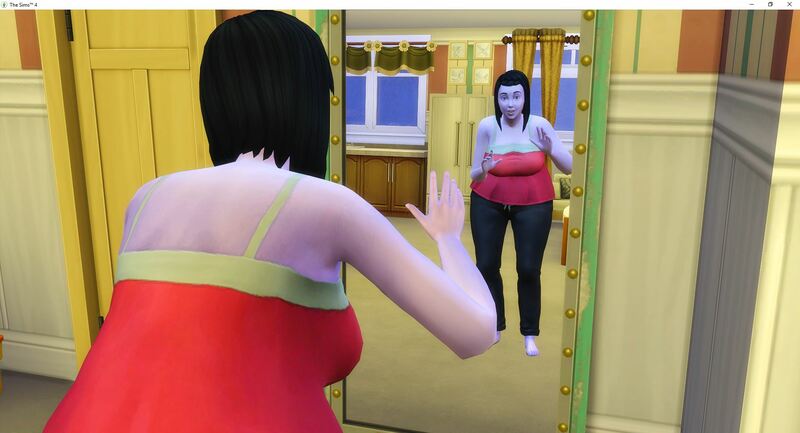 She looks deformed. Having worked through the night, Tara takes the day off from work so she can finish the identification and then get some sleep. 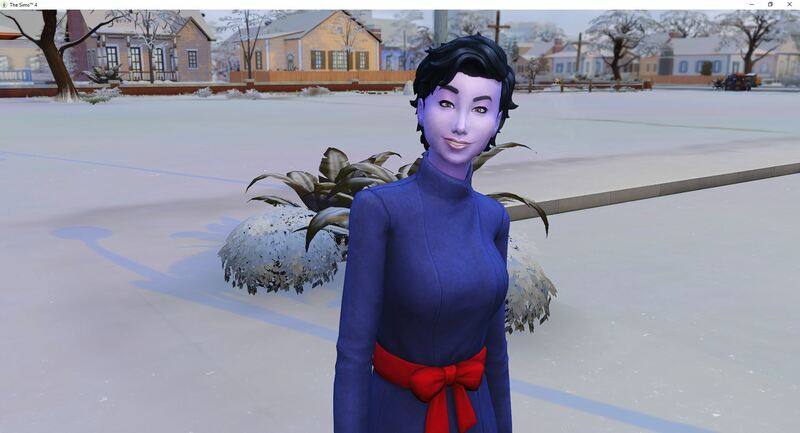 They will be heading back to Granite Falls over the weekend to meet the hermit, so for now she needs to be fresh for work. 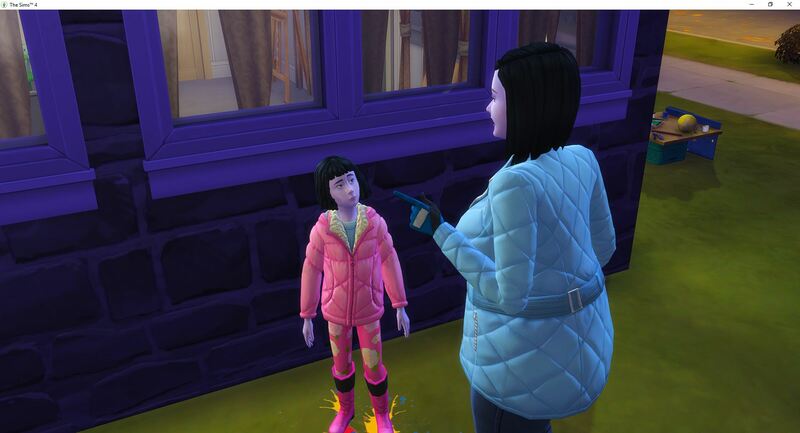 Penny brings home a B and needs more skills before she can get an A. 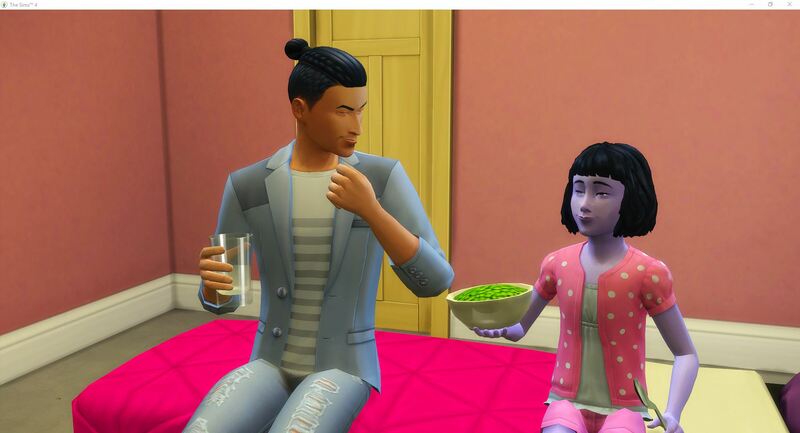 They hang out in her bedroom while she eats peas for dinner. It wouldn’t make sense to sit at the dining table to eat. 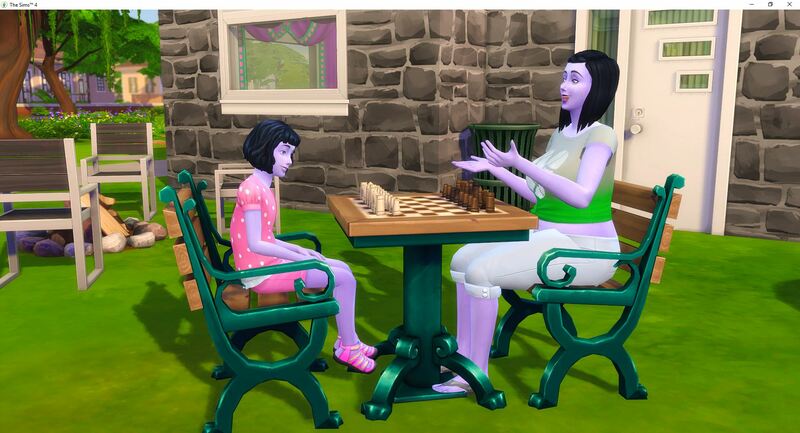 Tara adds a chess table and calls Penny to come play a few games to build her mental skill. 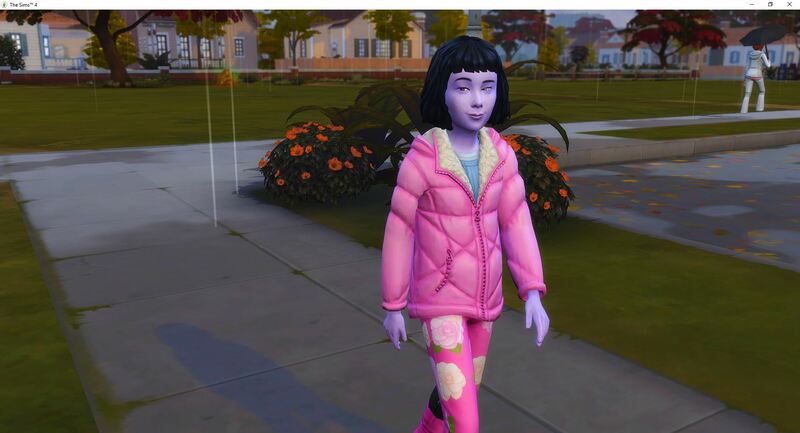 Maybe she can get level 4 in something before it is too late. Nolan is a very good ISBI spouse – he cleans, he repairs. But he only cooks single meals, not group meals. Tara makes it to the split where she chooses between Management and Investment – and she chooses Investments, not because I remembered, but because I wrote it down. 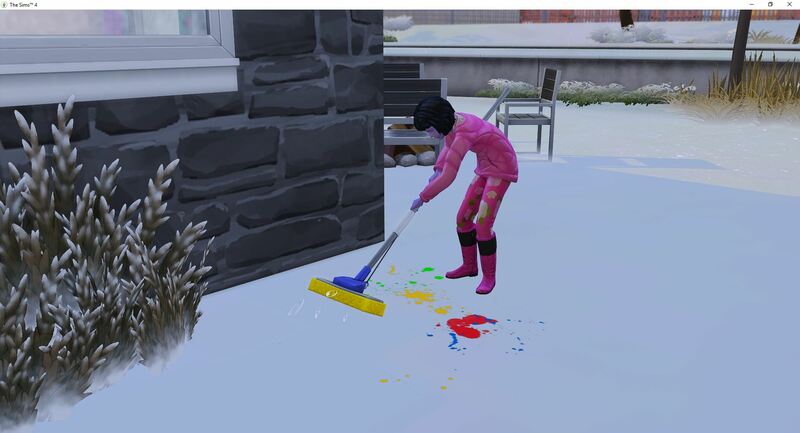 Penny is back to her mess making ways. 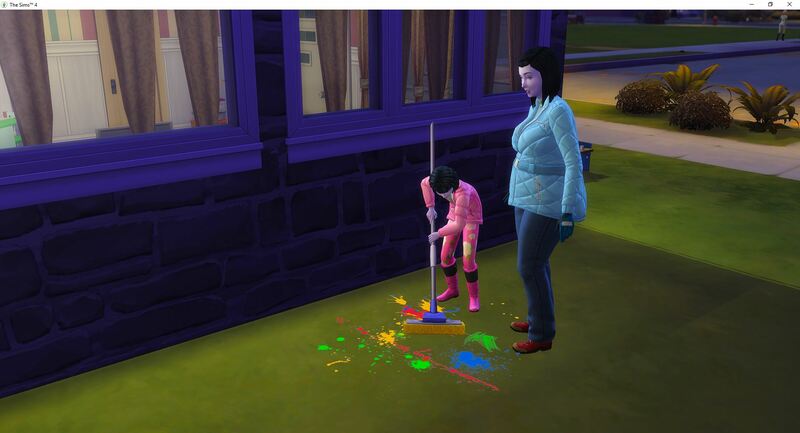 This time Tara catches her and scolds her, then makes her clean it up, then influences her to do her homework, then sends her to bed. Yep, all that and I took just one picture. 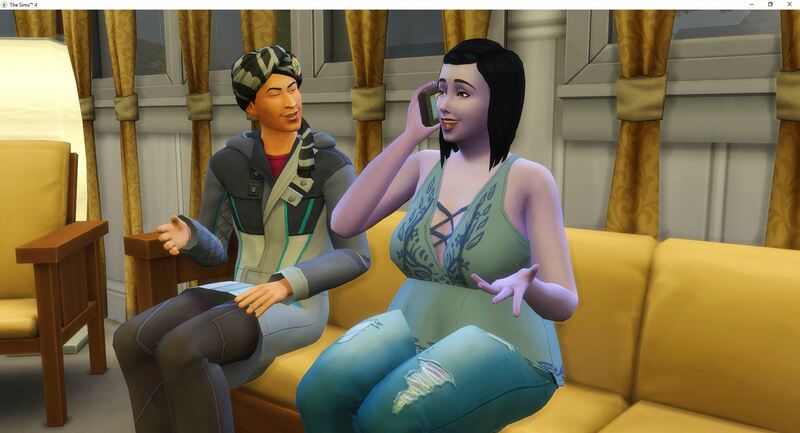 Hmm, well now at least Dashawn won’t be sent to a foster family, but he will be raised by his step-father once Juliana dies. I guess that is good. 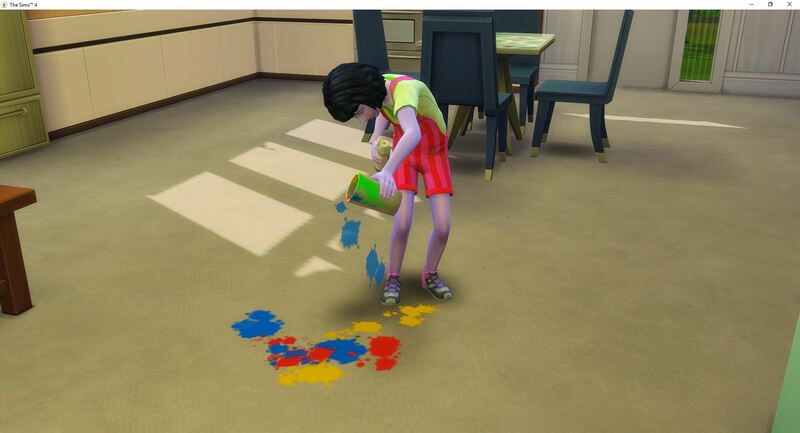 More messes – Penny is creative and when she isn’t making messes she gets tense because she isn’t being creative. 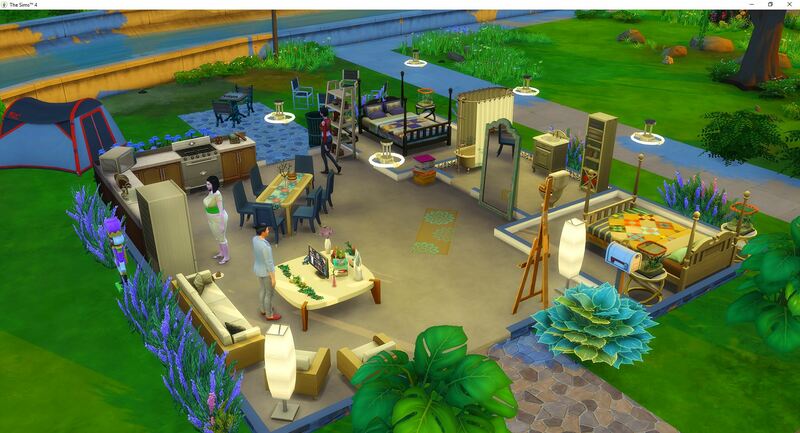 But she won’t use the art table on her own. 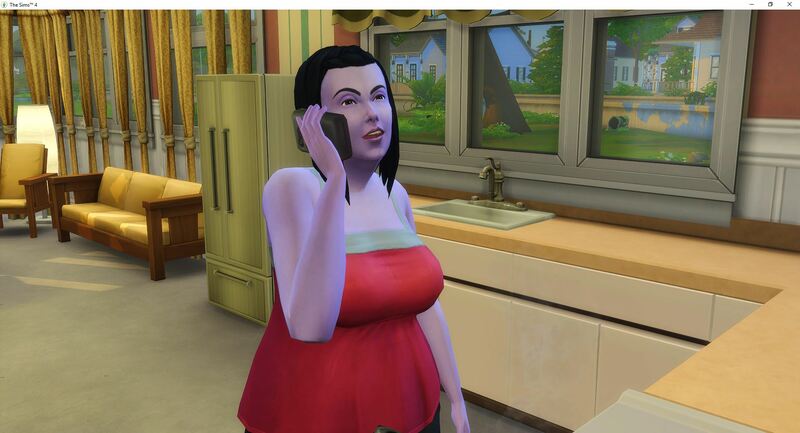 Right after Tara arrives in Granite Falls to try to find the hermit, she receives news that Juliana has died. 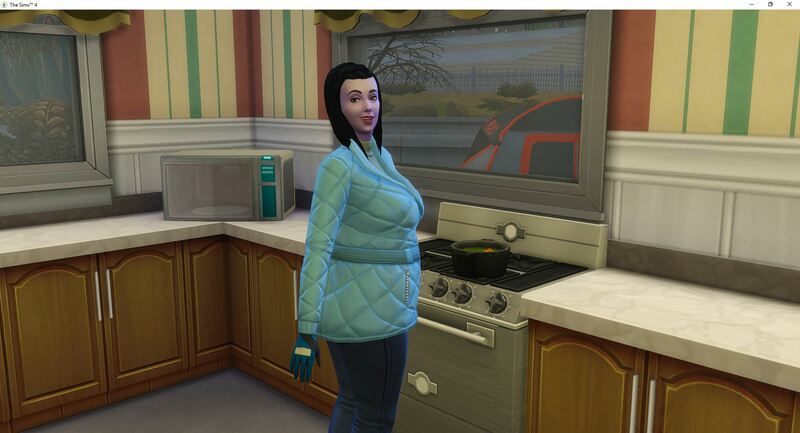 She can’t get through the secret passage though – two failures – so she takes a break and makes some food. 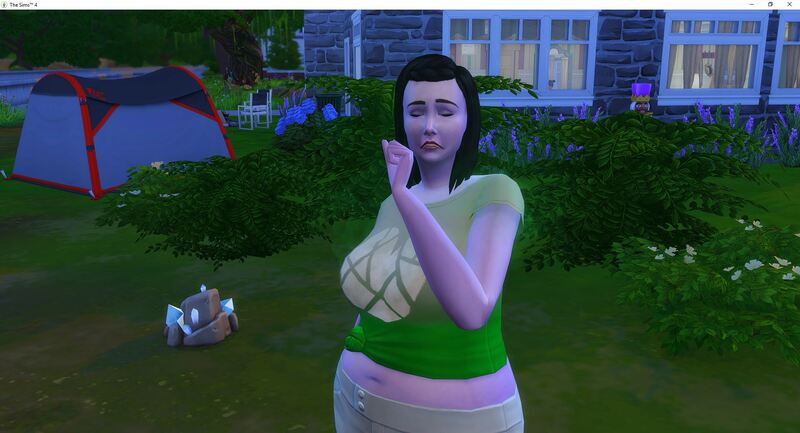 Finally, she is able to make it through – three times the charm. Unfortunately, there isn’t a hermit to find. While she is waiting – 24 hours – it thunderstorms the entire time. 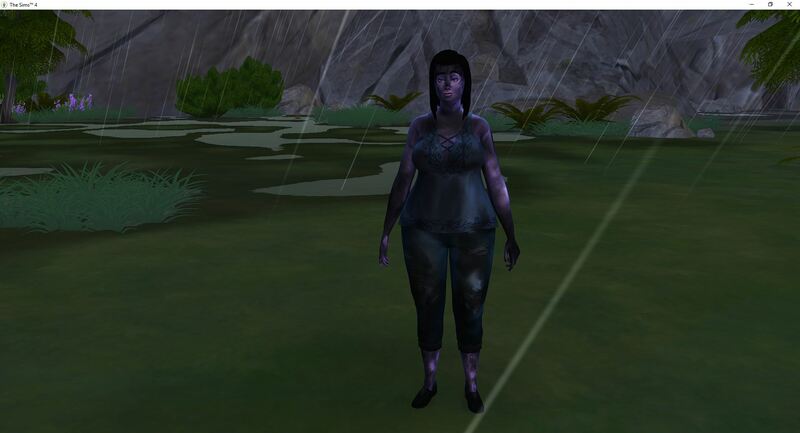 She is unlucky in getting struck by lightning, but lucky in not dying. Then, there was that mud puddle. 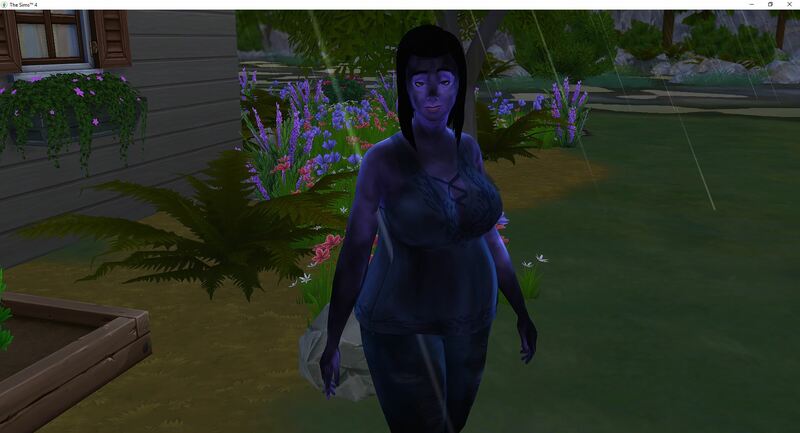 Then she got struck by lightning a second time. 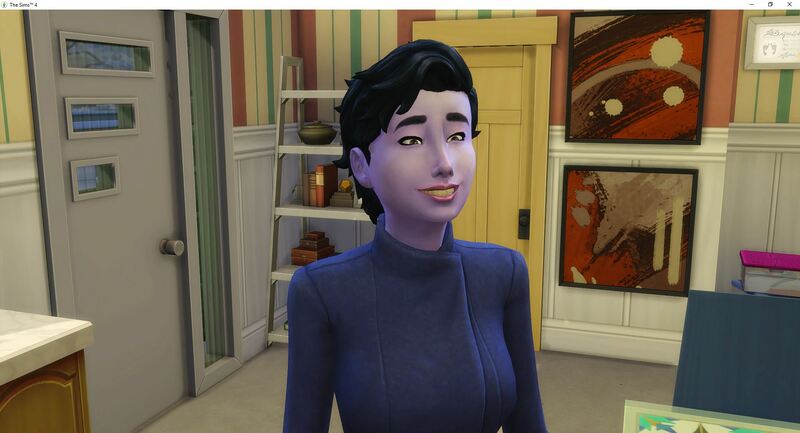 So thankful the dazed moodlet from the first time had worn off. 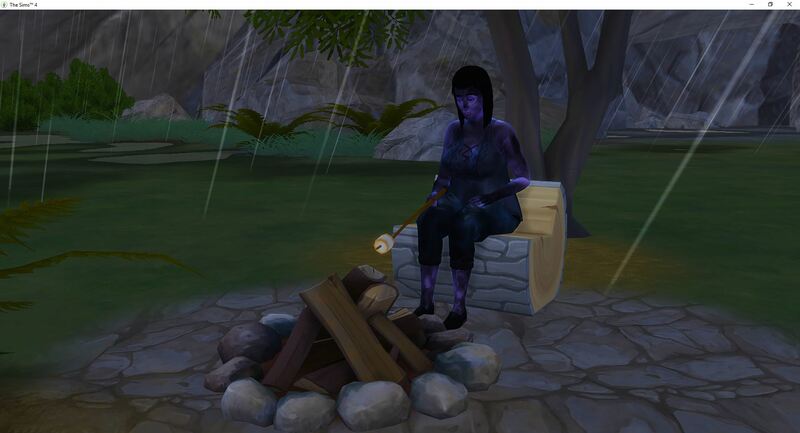 Because roasting marshmallows in a thunderstorm is THE thing to do after you have been struck by lightning, or anytime really. That was a waste of a trip. Heading back the next day, it is a new season with different weather and there is a new hermit. 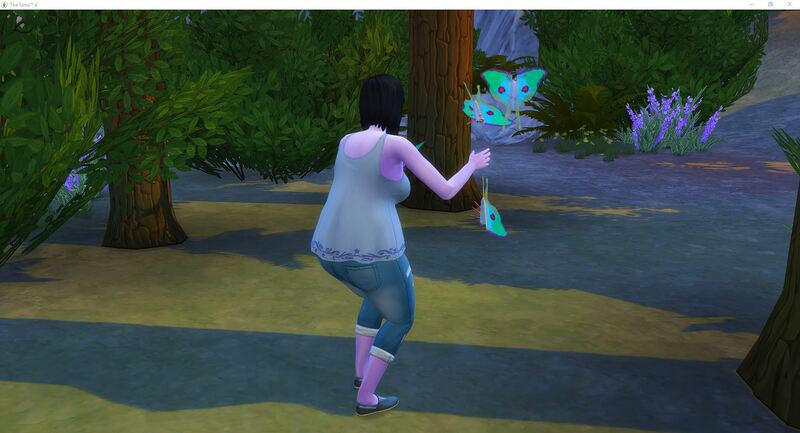 Then she collects her insects, and back home she goes. 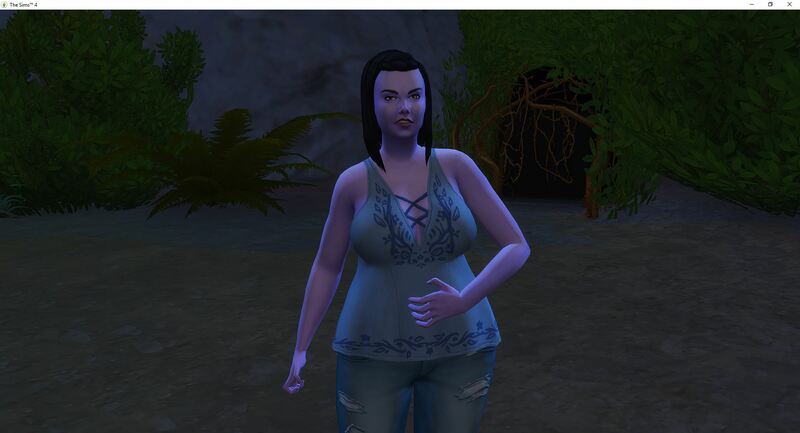 Now she needs to max herbalism and sleep in a tent to finish her aspiration. We won’t talk about the house yet. Nolan keeps stealing Penny’s bed, so Tara will wake him up and then put Penny to bed. 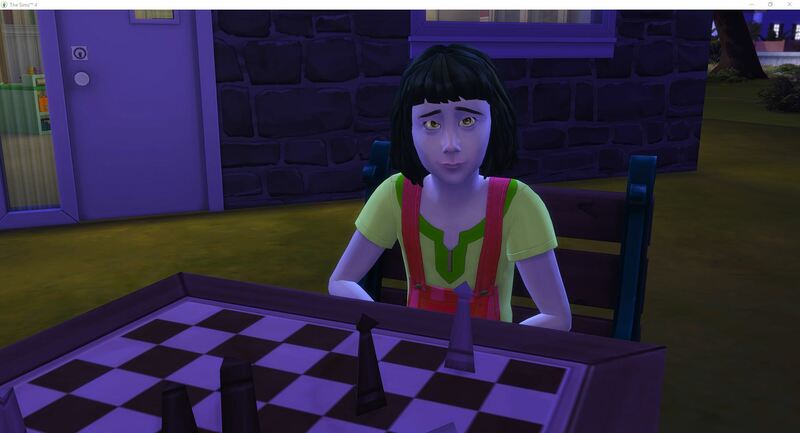 Penny finally reaches level 4 mental – so she will get an A in elementary school after all. 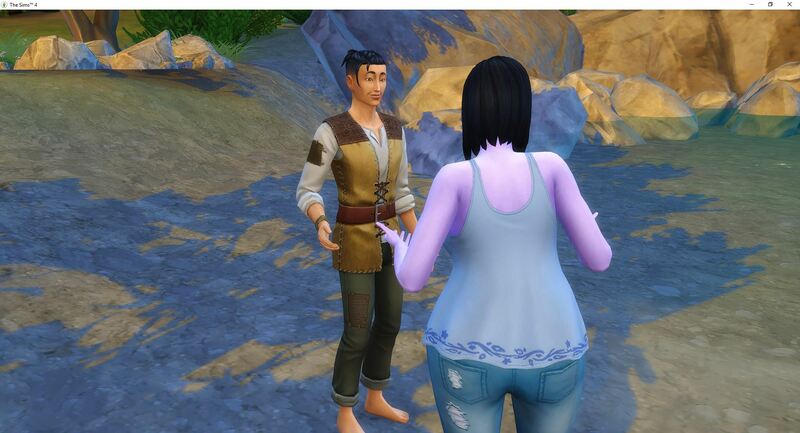 And just like that, she has her A.
Tara uses up some of her ingredients and needs to head back to Granite Falls so she can continue level herbalism. 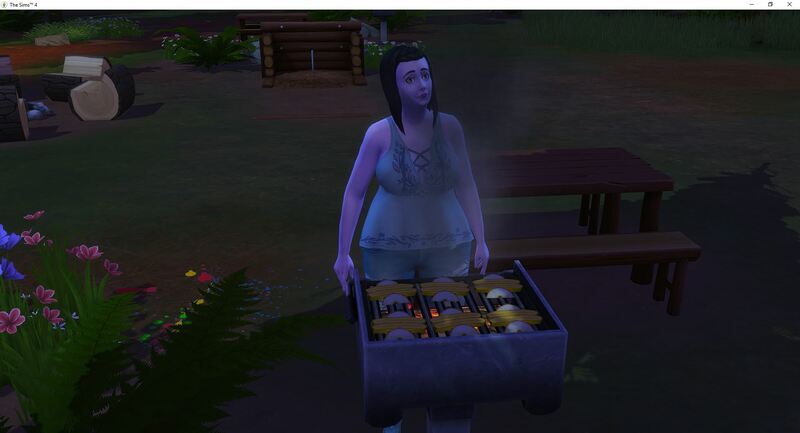 She collects and then she grills. 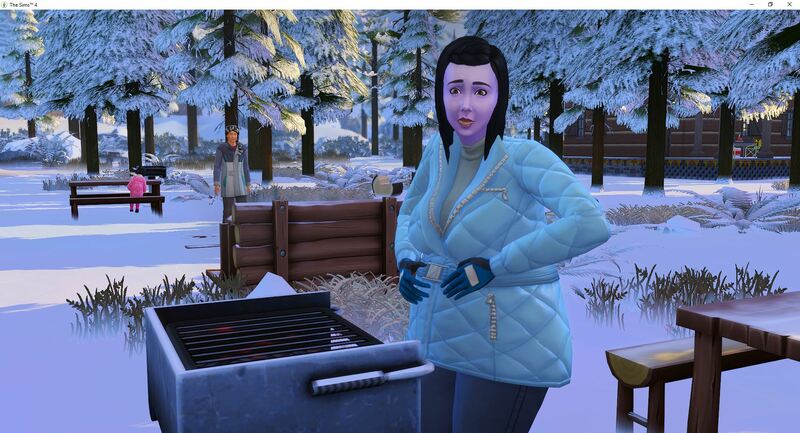 Once the fire is out, she takes her pot and finds another grill to continue grilling. 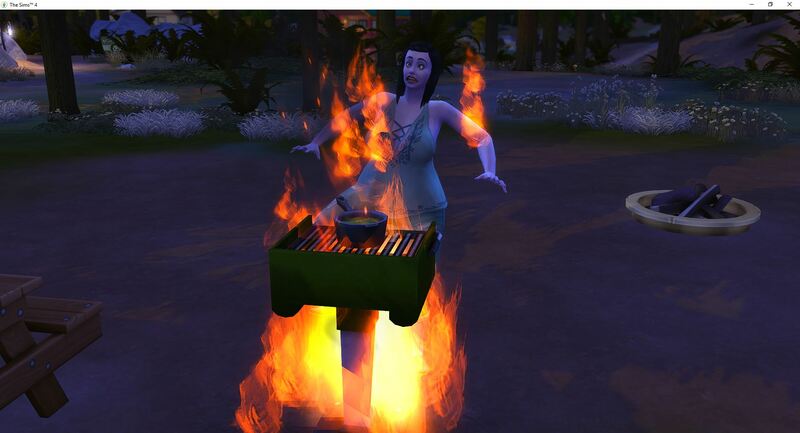 She grills until she is out of ingredients again. Now she is too tired and uncomfortable to go anything else. 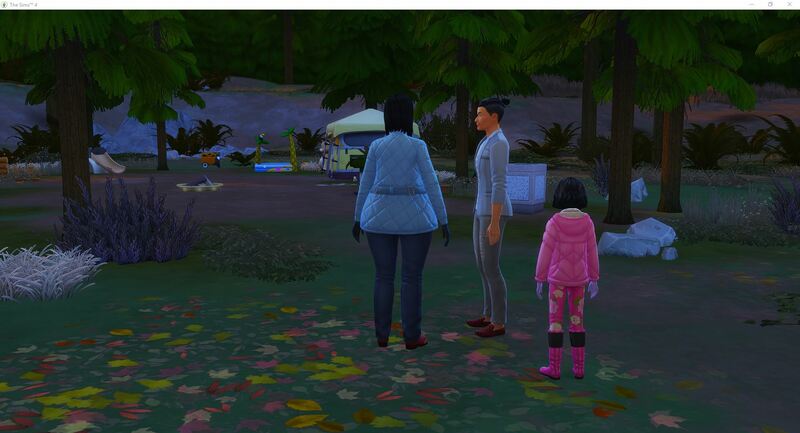 And it is time to go home because it is Harvestfest, so she will have to come back again. She is still level 8. 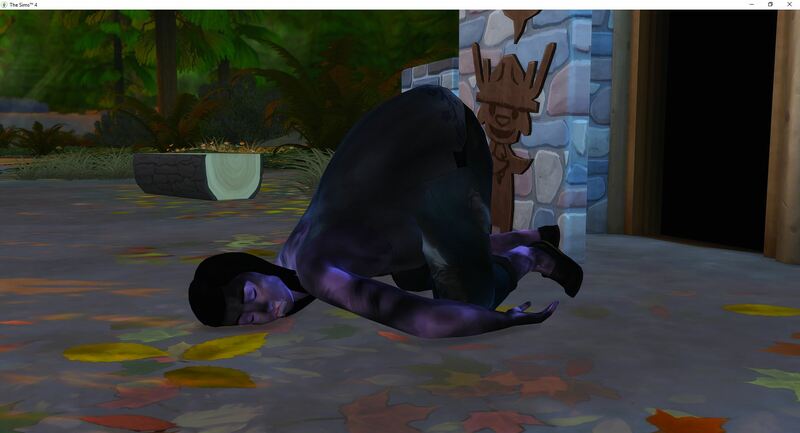 Tara reaches her birthday and has a quick celebration and then slips out to the tent to sleep – 4/5 done. 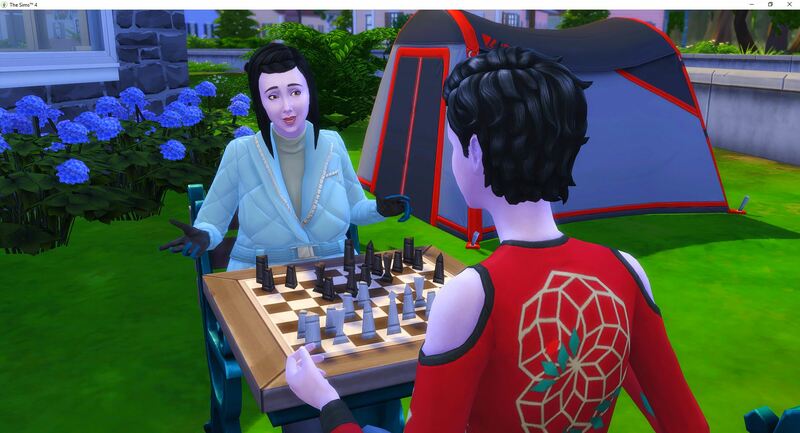 One more night in the tent and 8/10 herbalism to finish the aspiration. 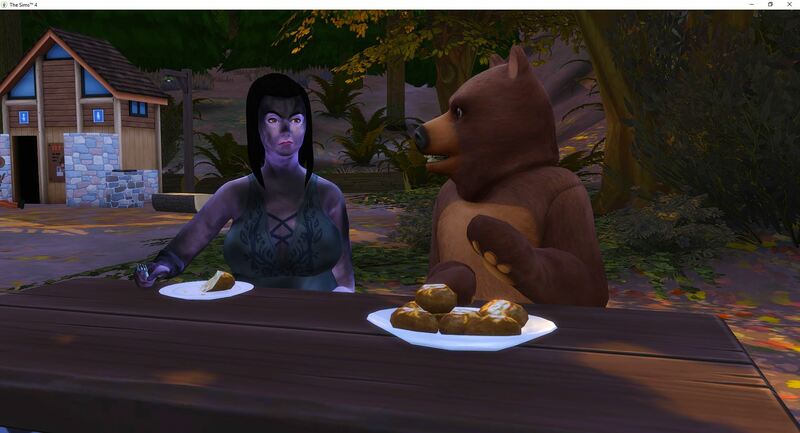 Tara takes everyone back to Granite Falls for the weekend. Really boring and now the plants aren’t blooming because they are out of season. 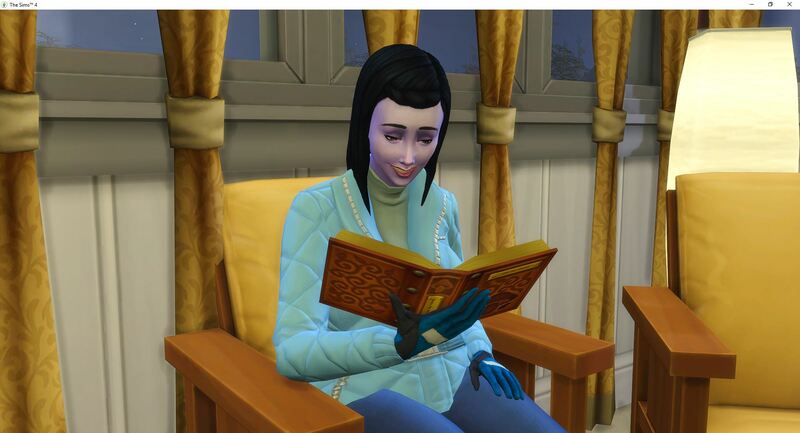 She is going to have to buy the books for the last freaking level. Tara reads, but skilling by reading takes so much time. 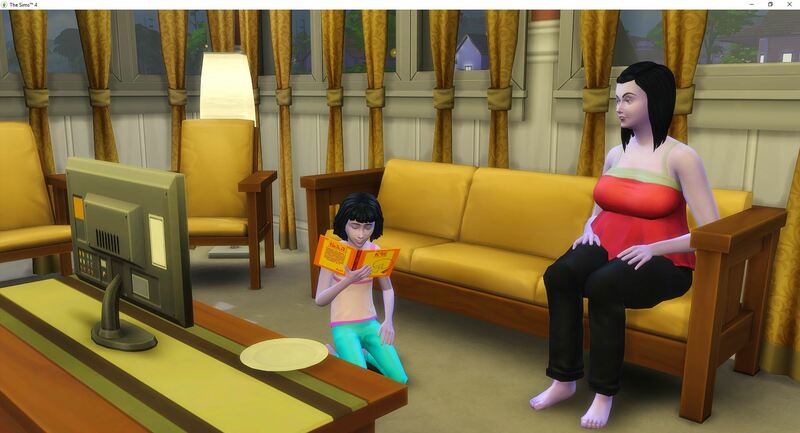 The problem we discovered is the books don’t work for level 10. Penny is still making messes. Tara tries to stop her and redirect her into productive activities. But, whatever. I give up. 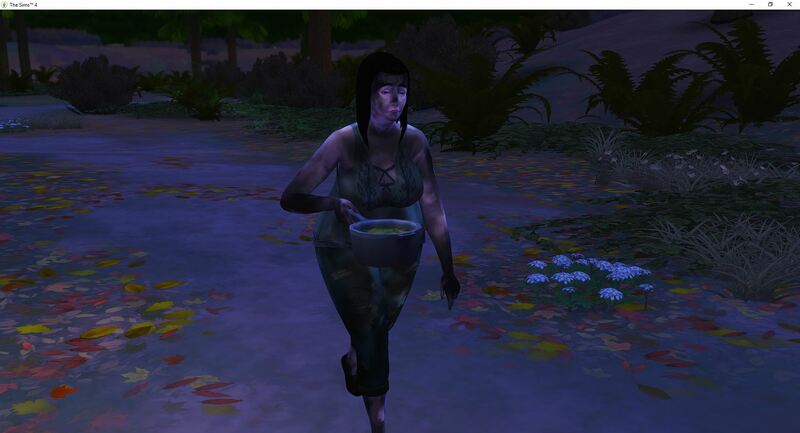 I realized that when she harvested more plants, the ones in her inventory reset to unidentified, which made it where she couldn’t make any more remedies. 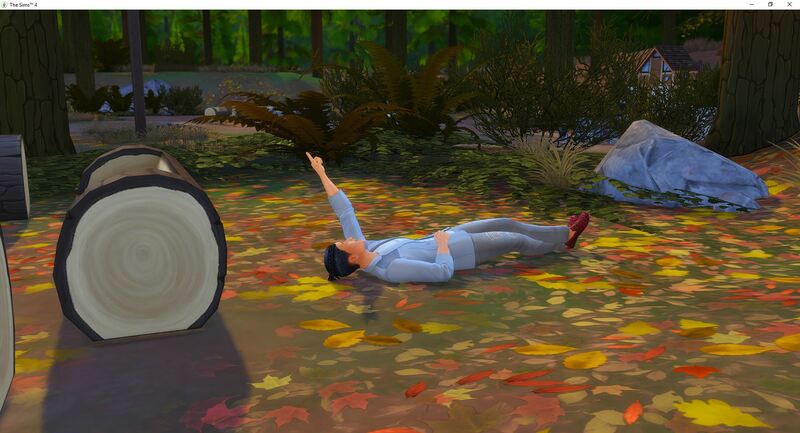 So once she re-identified the plants, she was able to make more remedies. 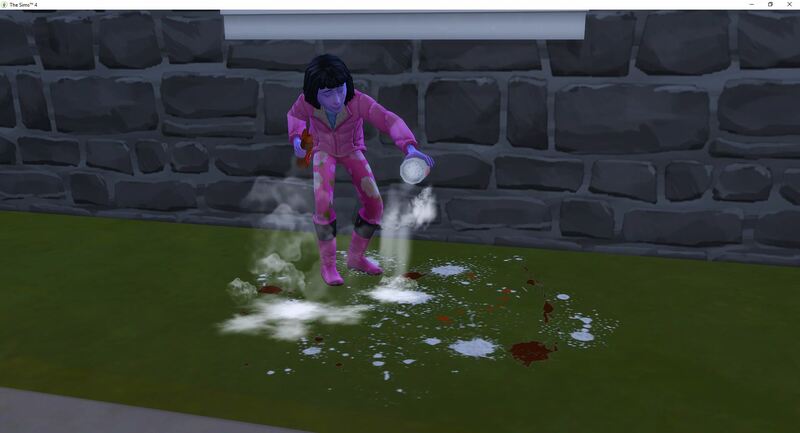 This got her to almost level 10 before she really ran out of ingredients. 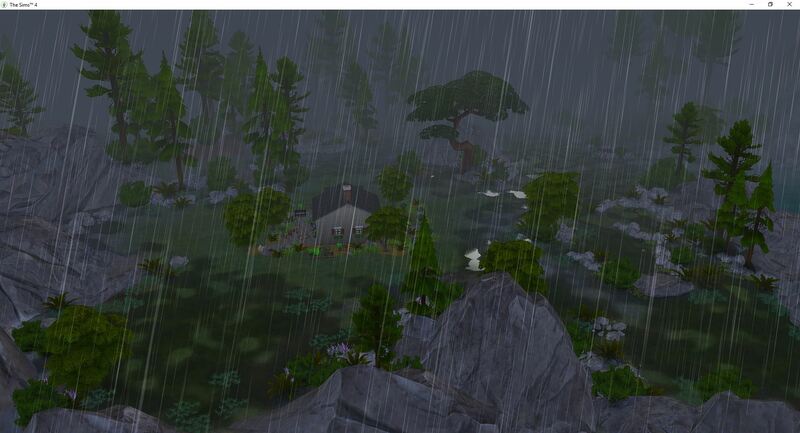 Now they are back in Granite Falls, and it is winter. But – the aspiration has been completed. 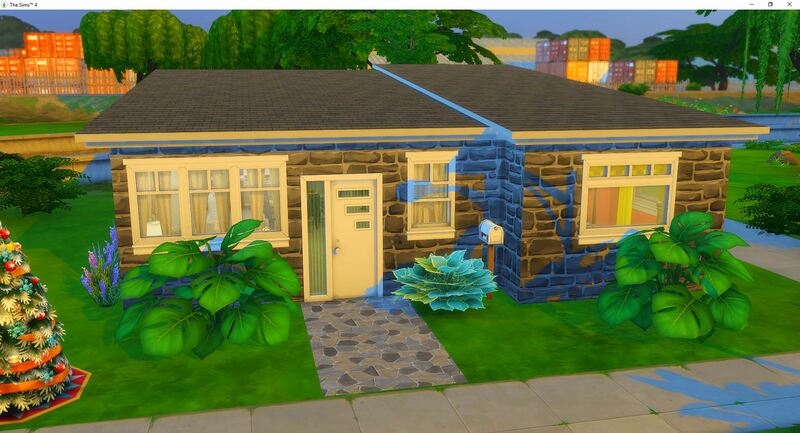 Now they get to go home and finish the house! And it is Rebate Day!! 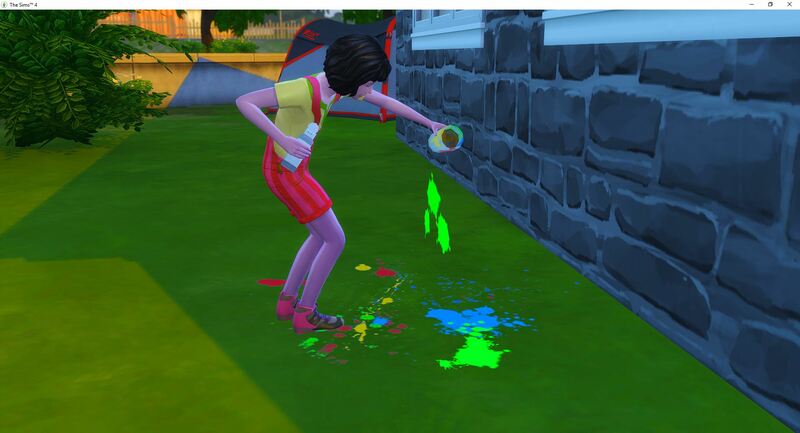 Penny’s last act as a child is to clean up one of her messes. 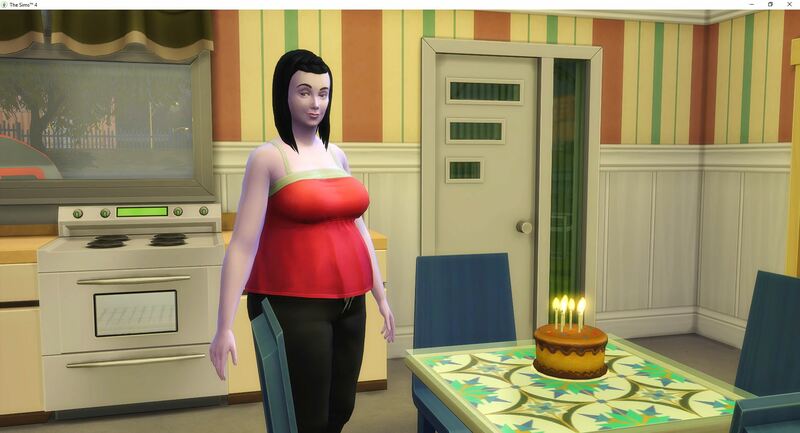 Then she heads in to blow out her candles. 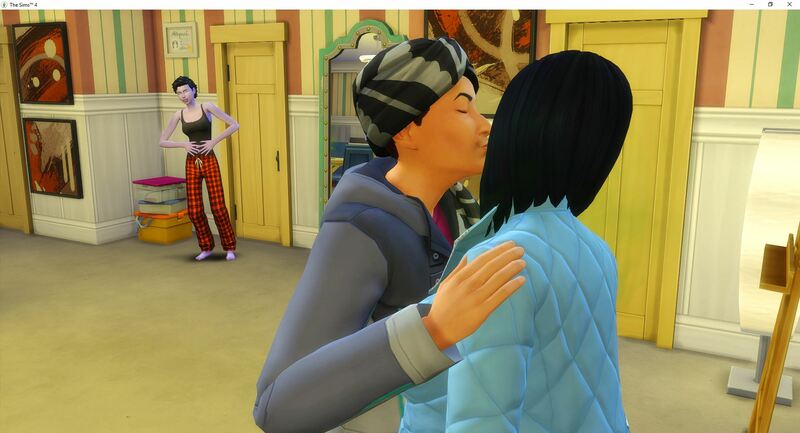 She picks up the jealous trait to go with creative. 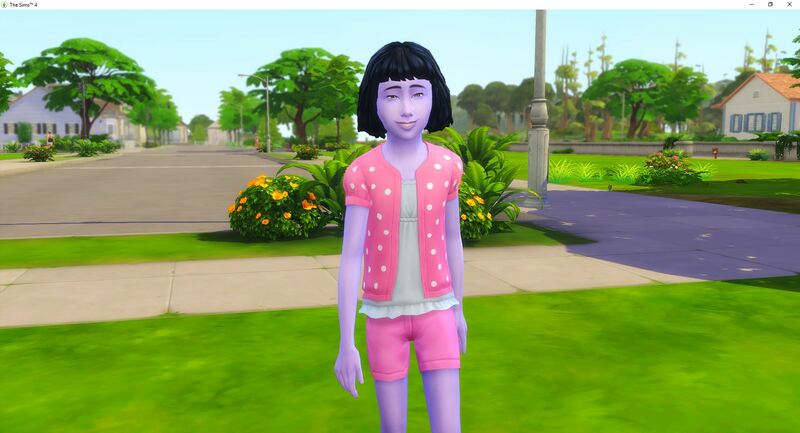 Her aspiration is angling ace. Tara takes Penny fishing in order to get her to level 3 so that she could get an A in school. 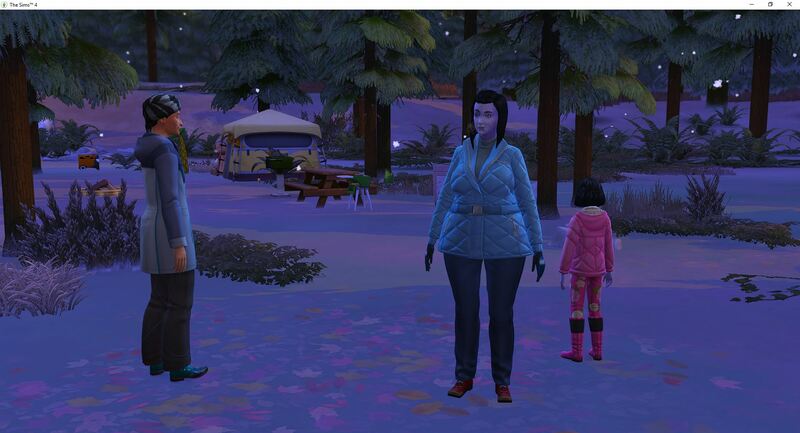 Since it is winter at home, they had to go into Sylvan Glade to find some place that isn’t frozen. 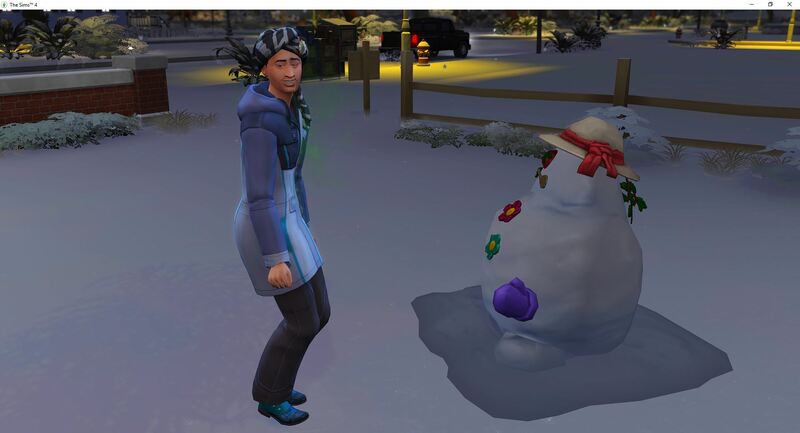 Winterfest comes – Tara cooks. 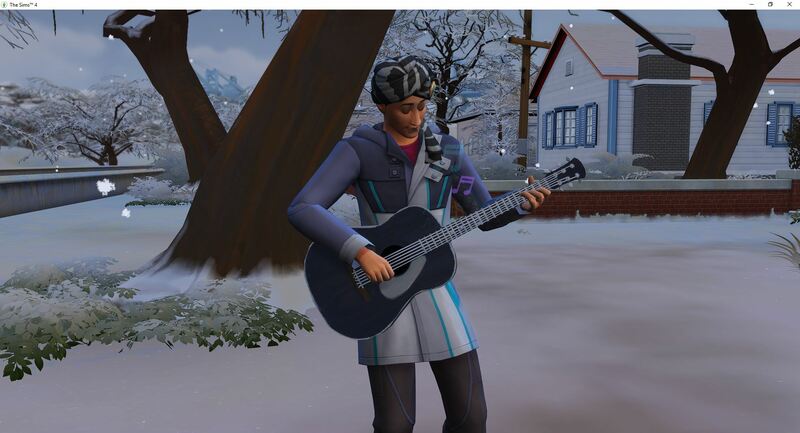 Nolan wanders the neighborhood and plays the guitar for awhile. 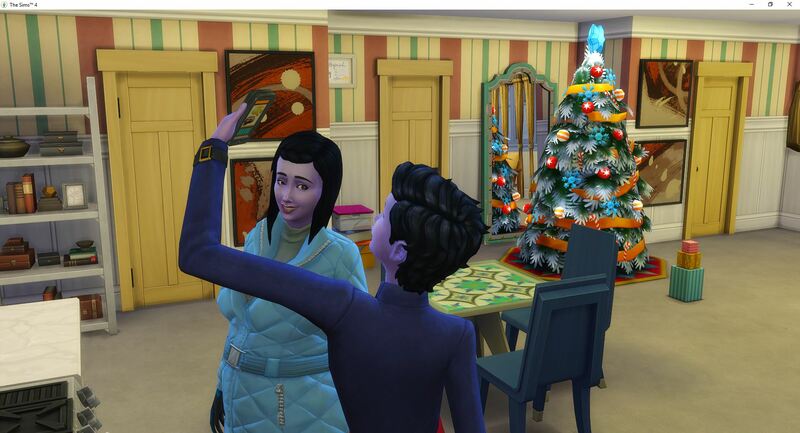 After Winterfest is over and the house is done so they are just waiting out the time until Penny becomes a young adult. Tara is working on her skills for her next promotion. 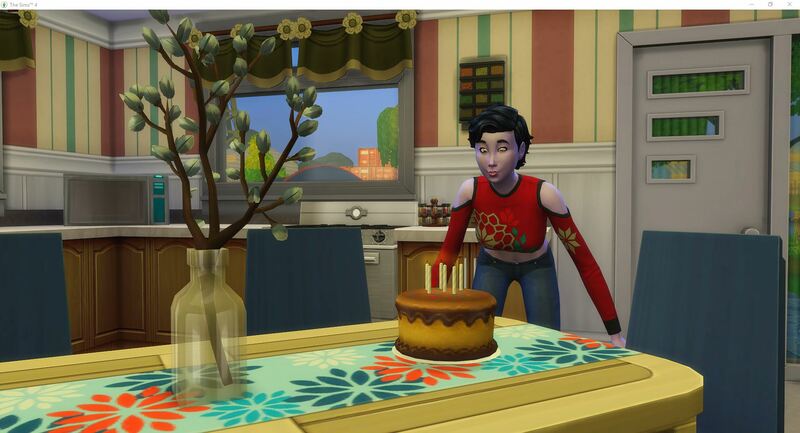 Penny comes home with an A which is probably the last thing she will complete before her birthday, since she is uncontrollable. Nolan is still wandering around the neighborhood although he surprises me by finding his way home periodically. 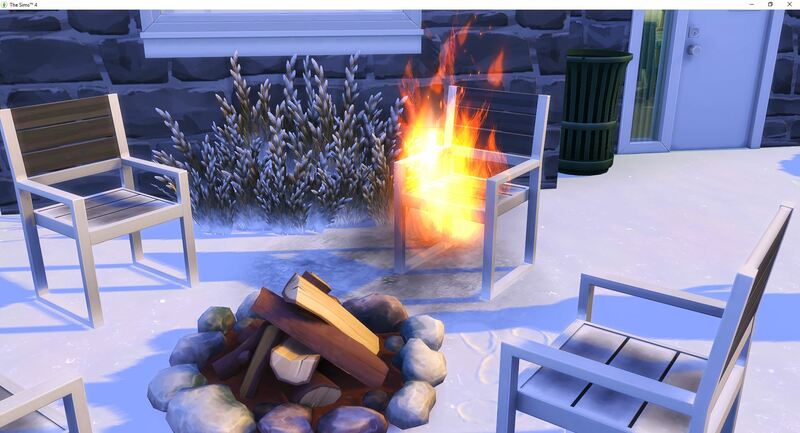 A random fire starts around the fire pit when no one is using it. And then no one can put it out. Thankfully it burns itself out and only burns up the chair. Very strange. New Year’s Eve is successfully, surprisingly. 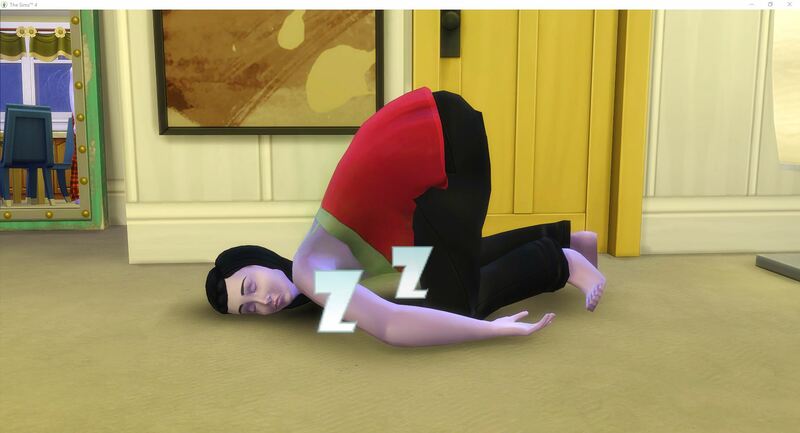 Despite being sent to bed several times, Tara keeps getting up until she finally passes out. 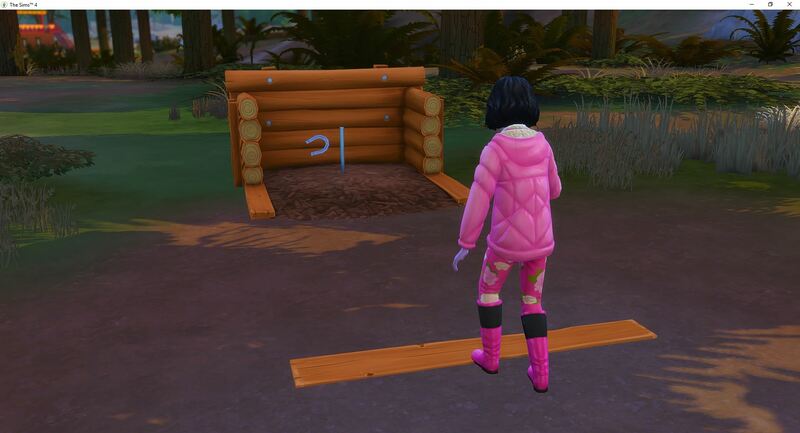 With a week to kill while we wait for Penny to become a young adult, Tara piddles with the angling ace aspiration and also with the skills for her career. 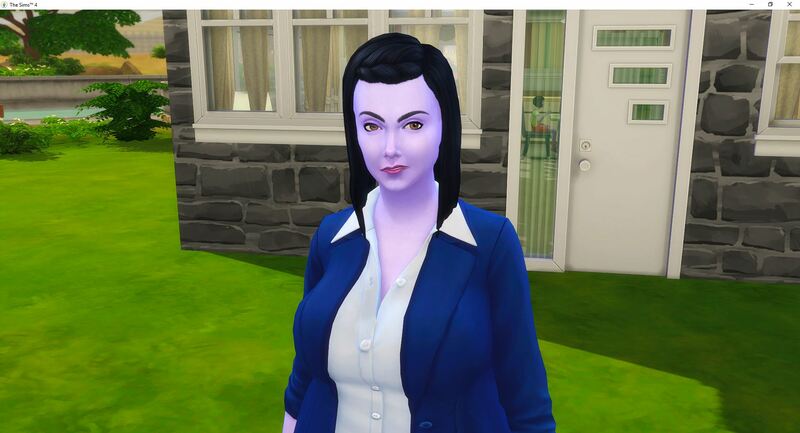 She picks up Great Kisser and maxes out charisma. She still needs to max out logic for that last promotion to level 10 in her career. 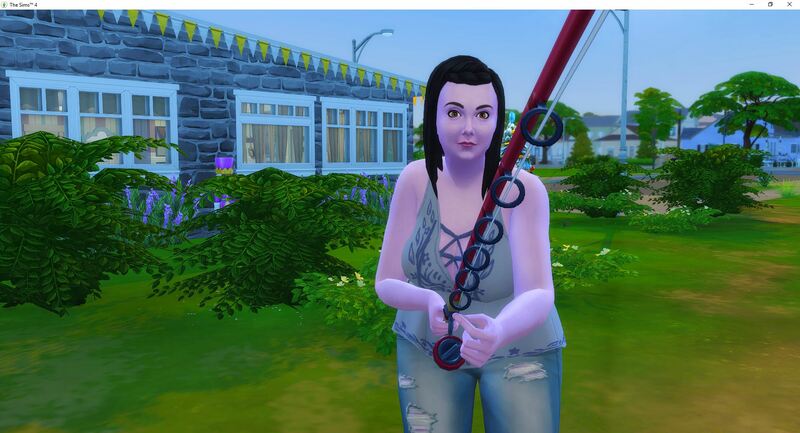 She has caught 20 types of fish and just needs to max out fishing to complete the aspiration. She needs to do all of this in four days. Tara does finally max out logic but it is too late for her career. 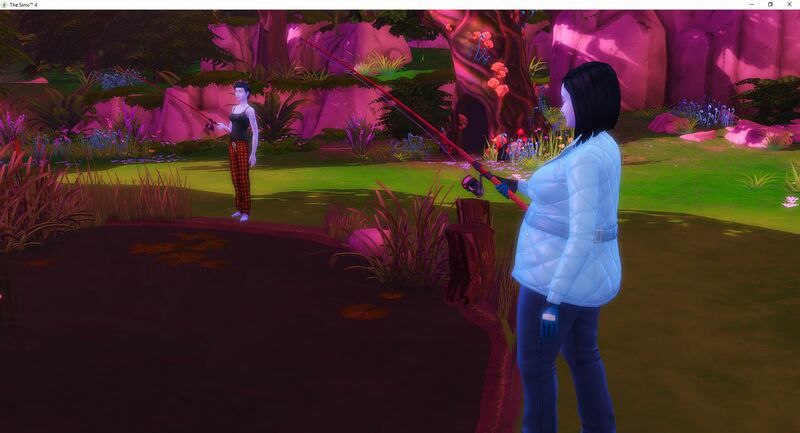 It is Penny’s birthday and she is trying to max out fishing before the bubbles begin – maybe she can finish one last aspiration before it is time for birthday cake. 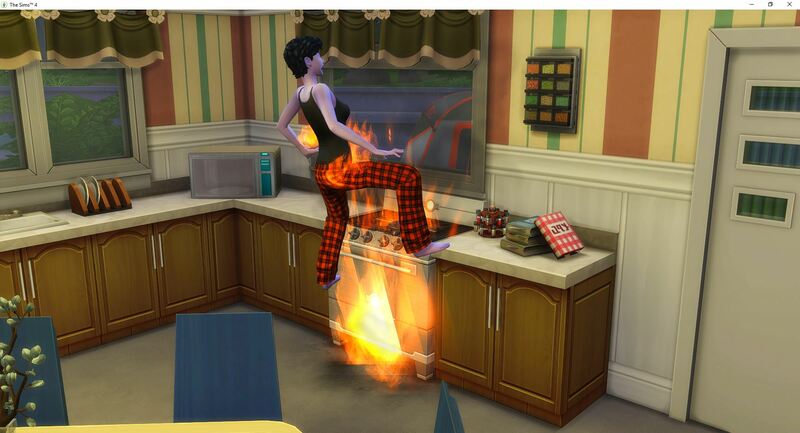 Literally moments before the end of the challenge for this house, Penny catches herself on fire. 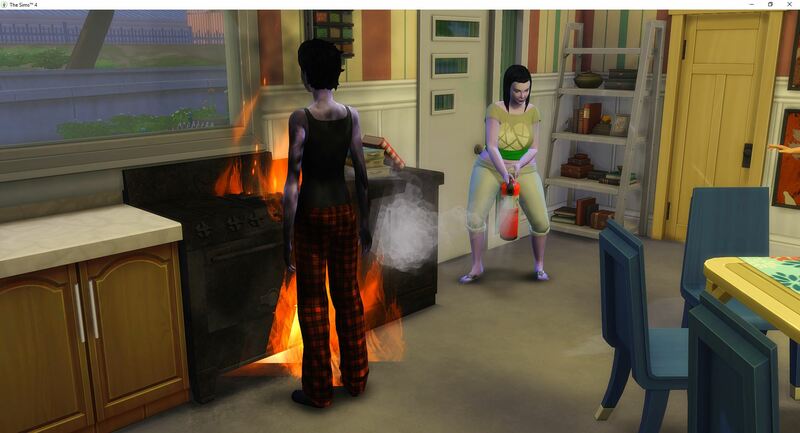 Tara has to stop fishing at 99% to come and extinguish the fire so that Penny doesn’t die and cause a house failure at the last minute. 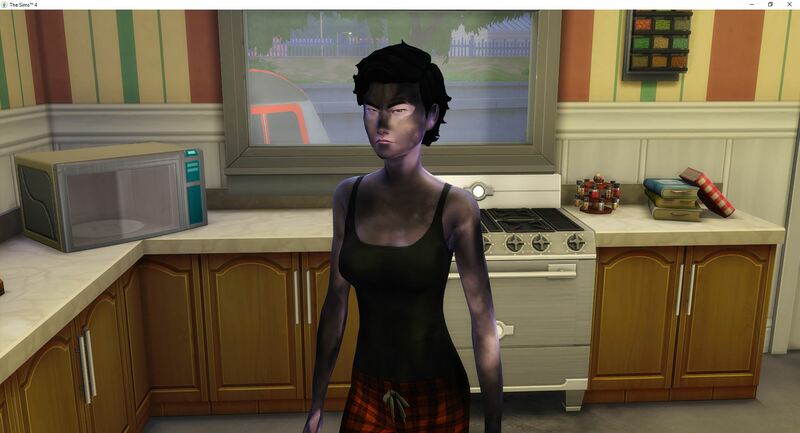 Penny is left to try to survive on her own for another hour. Tara heads out to make one more cast to go from 99% to 100%, which maxes fishing and completes angling ace. While this wasn’t required, she was too close to let it go uncompleted. 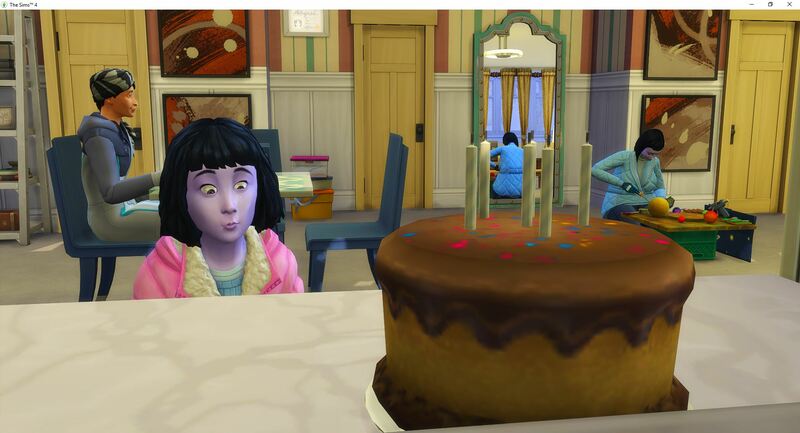 Now, it is time for Penny blow out the candles to move out. The final house value is §40,306 – it was §44,000 but I am not sure what happened to the missing §4,000 in the last few days.